Cibo House, a restaurant that serves Italian Cuisines in Hyderabad. “Cibo” means food in Italian. Now that makes sense! My very first visit to Cibo House was during Durga Puja, a couple of months back. For those of you don’t know, I am a Bengali and Durga Puja is our one of the biggest festivals. I was in Hyderabad this year during Puja. We didn’t have any holiday at our office and the Puja was literally from Monday to Thursday. So I had to squeeze some time out after my office to find out a place where Bengali community had arranged a Puja. I was not at all ready for going back to hostel and swallow the miserable food on such a festive day. I booked a table for two through zomato and showed up at around 9:30 PM. It was a little bit confusing to find out the restaurant as there was no direction given in the ground floor lift. The building has 2 lifts and apparently each of them doesn’t stop at all the floors, so we had to get off at one floor and then figure it out. As soon as we reached, we got our table. Honestly, it was fine if I hadn’t had booked the table. There was not much people. We opted for buffet as we were too lazy to decide. My second visit to the place was yesterday. I am glad that I didn’t write the review before that ‘cause in that case I would have missed a lot of points to talk about. Coming to the important thing now… i.e. the food. Note : All the dishes mentioned here are from Cibo House buffet menu. The first para against each dish is taken from the actual menu, as what the restaurant claims the dishes to be. In the second para, I have shared my own opinion and experience based on what was actually served. Chicken Coriander Soup: On a typical winter night when it is raining outside, there is nothing more comforting than some hot and creamy soup like this. Probably I liked it more because of the cold! However the flavor of coriander with a hint chicken seems to be perfect for any weather. Potato Leek Soup: Even though both of me and Sissy had opted for non-vegetarian, I insisted on tasting the potato leek soup as well. It’s a good soup, the taste was not as good as the other one but it was decent. Now this thing I have mentioned in my other blog posts as well. The restaurants I have been to, focus more on the starters than the main course. So you can expect to have best experience only in starters, not the main course. 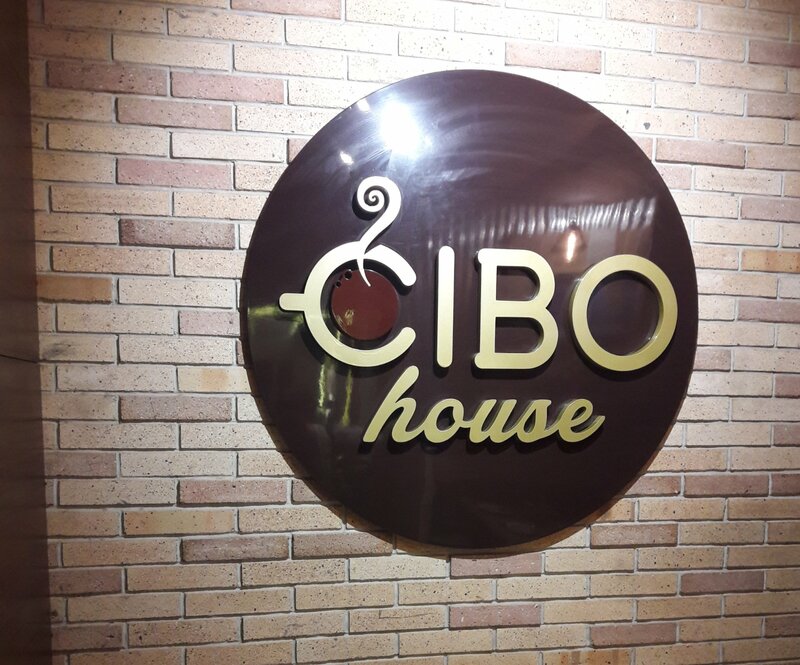 In Cibo House, I had different experience though. Scallion Chicken: It’s an Asian inspired dish with Chicken slices mixed with ginger, garlic, scallion and cream. I personally didn’t like the dish, the chicken was too dry for me. It was cold and the taste wasn’t great. It’s a little different fish starter than the other restaurants, the taste was fine. I don’t know the flavor/smell of the herb but I could feel anything unfamiliar in that dish. By the look, it’s like mutton galouti kebab. Whereas a good galouti kebab would melt in your mouth, this lamb dish had a weird rubbery texture. After 3 starters that couldn’t stand up to my expectations, prawns came to save the grace. It was well cooked, the prawns were soft, juicy and full of flavors. Crispy Baby Corn: This was served in place of Aioli Baby Potato from the menu. The baby corn was crispy, fried in a sweet sauce. This was a good one. This was a cool variant of cheese balls, tasted best among all the starters. The cheese was well prepared. This too is closely related to veg galouti kebab. Crispy outside and soft inside, I found the veg starters tastier and more interesting than the non-veg counterpart. Dips: There was Spicy chili dip and Honey Mustard dip. Both of them were really good. In my first visit, some of the starters were served cold. In my second visit, everything was served steaming hot. There was two part in the menu, one part was available on the counter. The other was to be served on demand. In my first visit, due to lack to proper strategy I could not order anything from the second part. Yeah, you gotta have a good game-plan in order to taste all the food when your eating capacity isn’t great and the menu is quite large. It was just a regular veg fried rice with a fancy name. The presence of chicken wasn’t that prominent, tasted a little different than the regular chicken fried rice that we usually have. Cottage Cheese Dumplings in Cheesy Basil Sauce: The name speaks for itself! It had nice creamy gravy and mild flavor. This tasted like a common fish item from a Chinese restaurant in India. Moroccan Stew: Arabic spices and European cooking come together in this dish filled with exotic vegetables. Strangely enough, this stew tastes so familiar and homely to me. It’s like my mother has cooked a vegetable curry with whatever were in house, a simple yet delightful stew. Jamaican Chicken Stew: Thyme flavored chicken cooked with chicken stock, cream and vegetables If I were given a chance, I would have eaten this dish every single day for rest of my life. It’s the kind of comfort food my soul craves for! Pesto Chicken Pizza: Spinach pesto chicken cubes and mozzarella cheese. It was a thin crust cute little pizza with generous amount of cheese on it. Loved it! Chicken Mint Lasagna: Layers of minced chicken, creamy sauce, cheese, lasagna sheets, gratinated with mint. I ordered one lasagna for two of us and they served us in two mini bowls. I am not sure if for a single person they will serve the same portion or not. The lasagna was really good. It had all the quality the good lasagna has. Spaghetti in Herbed Cream sauce White (Chicken): Thyme and oregano flavored creamy sauce. My mouth is still watering even thinking about it. It is worth a try. Boy oh boy! I cannot express in words how loved the desserts. It was simply the best choice of desserts for a buffet. Caramel Custard: Classic French set custard made with egg, cream and caramelized sugar. I wish I wasn’t that full when it was time for dessert. The custard was GOOD. Do not miss it by any chance. Tres Leches: Spanish desset made with sponge cake and 3 forms of milk. Truly speaking, it is the best of the best. Most of the restaurants I have been to did not have good chocolate cakes and pastries in their buffet menu. In Cibo House, this cake is made with equal care and love as all the other desserts. So it deserves your attention! Yet another great dessert which you won’t find in many restaurants in Hyderabad. It tasted kinda like apple pie, sweet with a hint cinnamon. This is a common one, I have one suggestion for the restaurants for this. Please don’t prepare all the cream tarts and keep them. Gradually the tart becomes soggy and it doesn’t taste great. Last day we got Belgian Chocolate and vanilla. Again I would say, the quality of the ice-cream was quite good. There were pineapple and watermelon and guess what? I didn’t bother to eat them! Cucumber Tatziki: Cucumber slices mixed with rich mint and cream tatziki sauce. This one was refreshing, helping to devour so much food! Virgin Mojito: Virgin Mojito and Iced tea were the drinks option for the buffet. There was nothing to complain about that! Raspberry Martini: THIS WAS NOT PART OF THE BUFFET! I had cocktail for the second time in my life, so I would not judge the drink. Service: The service is fine I would say. The staff sincerely asked for feedback as we were done. Ambiance: It’s a good place to hang out with friends/co-workers and family. Value for money: The buffet cost Rs 2000 for 2 people. Considering the quality and variety of food, it was worth the money.